Help build a Montessori campus where ALL children can receive excellent bilingual education, regardless of family income. The first building will feature 4 large classrooms and lots of outdoor space to run, play, grow vegetables, and interact with nature. 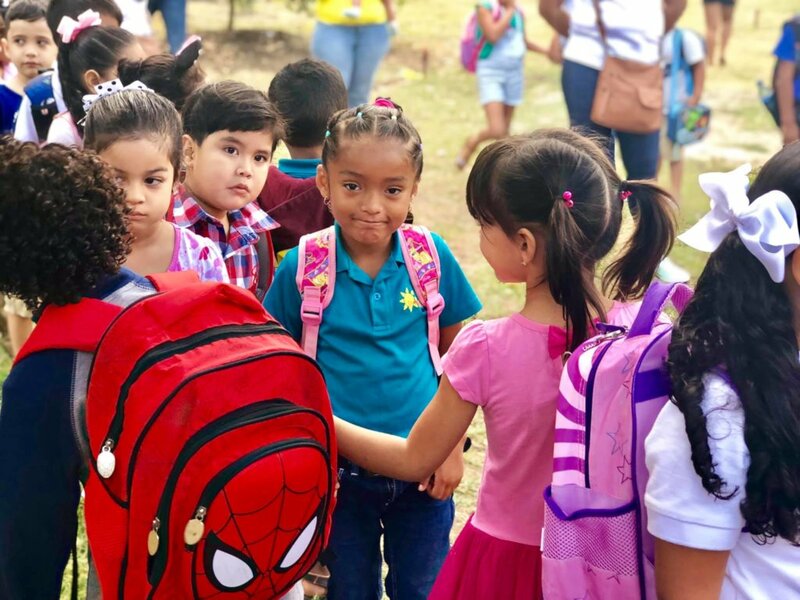 Escuela Adelante's delightful students are breaking down the language barrier and bringing hope for increased equality and unity among the diverse population of San Juan del Sur. Help us serve more students! Only 43 percent of Nicaraguans have access to preschool, and most don't complete 6th grade. English proficiency has become important in pursuing many careers and higher education, but there are limited opportunities to learn it. Due to these disadvantages, locals are largely left out of the tourism and investment industries of San Juan del Sur. Escuela Adelante has successfully educated hundreds of children and adults, but the small space it rents cannot accommodate its growing waitlists. The new campus will eventually provide 500 students a year with education of an unprecedented quality. Nicaraguan and foreign children will learn Spanish and English together, benefiting from a Montessori curriculum that emphasizes critical thinking, hands-on learning, and kindness. Escuela Adelante's sliding scale tuition allows families to pay only what they can, so that no one is turned away for financial reasons. This model creates sustainability and maintains high quality. Sixty preschoolers a year will receive bilingual Montessori education at the most crucial age, in terms of brain development and language acquisition. This foundation will help them succeed throughout their lives. Eventually the campus will include a primary and secondary school. Our vision is to cultivate generations of bilingual critical thinkers who are highly knowledgeable, technologically adept, individually inspired, kind and respectful towards others and towards the physical environment.